Among the range of CBRN filters produced by EMCEL is the latest generation of NATO radial flow combination filter, manufactured and tested in accordance with STANAG 4447 and Edition 2 AEP 54 (October 2014). In service with many NATO and other Navies, this filter provides CBRN protection through a combination of HEPA media and impregnated carbon granules integrated within the same casework. Several filters are normally utilised within an CBRN, COLPRO (Collective Protection) system which provides positive pressure and safe breathable air within a sealed area. 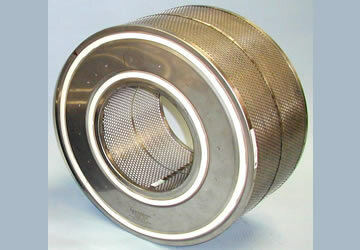 Individual filter airflow is rated at 300m³/hr.